What Is Qi (Chi) Wireless Charging? Most smartphone brands offer Qi, but what makes it so special? Qi is a wireless charging standard. It’s the only one that can be found built right into phones from all the major phone manufacturers. Qi is pronounced "chee." 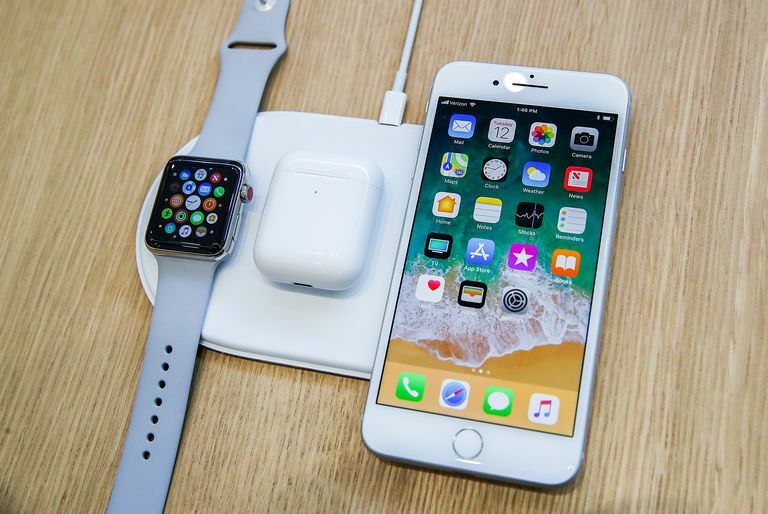 Qi is not the only wireless charging method available, but it's the first one that is supported by the largest and most-influential smartphone makers: Samsung (Android) and Apple (iPhone 8 and X). Wireless charging is exactly what it sounds like: it allows you to charge a device (like your smartphone) without plugging in a power cable. The basic technology has been around for a long time, and inventor Nikola Tesla even experimented with it over a century ago. While the inner workings of wireless charging technology are quite complex, the basic concept is pretty simple. In order to charge something wirelessly, you need to have two components called induction coils. These coils are basically loops of wire that are built into wireless charging stations and compatible phones. When a compatible device is placed on a charging station, the two coils are able to temporarily act as a different component known as a transformer. This means that when an electromagnetic field is generated by the charging station, it creates an electrical current in the coil that’s located in the device. That current flows into the battery, and voila, you have wireless charging. If you have an electric toothbrush, there’s a good chance that you’ve already used wireless charging, whether you realized it or not. In fact, some rechargeable toothbrushes will actually charge when placed on a Qi wireless charging pad. While all wireless charging technologies work in similar ways, there are actually two competing types of wireless charging. They are referred to as magnetic inductive and magnetic resonance charging, even though they technically both work via the same principle of inductive coupling. The Qi standard was first published in 2010, and it described an inductive method of wirelessly charging devices. In addition to specifying three different power ranges for wireless chargers, it also laid out the way that devices would communicate with charging stations to ensure safe and efficient charging. Why Do Phone Makers Prefer Qi? Phone makers embraced Qi over alternative standards for a handful of different reasons. The first, and probably most important, is that Qi had a significant head start. Since the Qi standard was initially published in 2010, chipmakers were able to design chips that would essentially act as a shortcut for charging station manufacturers and phone makers. Using these off the shelf components, phone manufacturers were able to implement wireless charging in a relatively painless and cost-effective manner without spending a lot of their own resources on research and development. This availability of off-the-shelf chips and other components sparked early adoption by Android device manufacturers like Nokia, LG, and HTC in 2012. This further spurred others to adopt the Qi standard, and within the next few years, nearly every major Android phone manufacturer had built Qi wireless charging into its flagship phone. In addition to simply getting to market first, the inductive charging used by Qi is also more energy efficient than resonant charging used by competitors, and the components are smaller. That means inductive Qi chargers can be less bulky and take up less space. In the 1.2 Qi standard, resonant charging was also added to the specification. This made Qi the only standard with specifications for both inductive and resonant charging, which helped phone manufacturers in terms of backward compatibility. While some Android manufacturers jumped on the Qi bandwagon as early as 2012, Apple didn’t join the Wireless Power Consortium (WPC), which is the body behind the Qi standard, until February 2017. Apple actually modified a system initially based on the Qi standard much earlier than joining the WPC when it implemented wireless charging in the Apple Watch. However, that implementation was tweaked enough to prevent the Apple Watch from working with standard Qi charging stations. Starting with the iPhone 8 models and iPhone X, Apple ditched the tweaked version in favor of a standard implementation of the Qi standard. That decision allowed both Apple and Android users to take advantage of the same exact charging hardware, both at home, in the office, and at public charging stations. The major disadvantage of wireless charging with devices that use the Qi standard is that inductive charging is rather precise in terms of distance and alignment. While resonant charging allows for a lot of leeway in terms of the placement of a device on a charging station, devices that use Qi have to be placed in a rather precise manner. Some charging station manufacturers get around this by including multiple charging coils in a single station. However, your phone still has to be lined up properly with one of them or it won’t charge at all. This is usually addressed by including guide marks on the charging station to show how and where to place your phone. Aside from that, using Qi to wirelessly charge a phone is an extremely simple process. You plug the charging station into the wall, or into the accessory outlet in your car, and then you place the phone on it. As long as the phone remains in place, it will charge. Where Can You Charge a Phone With Qi? In addition to desktop charging mats and stands, and cradles designed for automotive use, you can also find Qi chargers built into furniture made by companies like Ikea, and there’s even an app that will show you where to find a public charging station in your area. If your phone doesn’t have Qi technology built in, you can add wireless charging with a case. Or if you love the case you already have, you can even get a super flat charging unit that will fit between your phone and your existing case. What Can Wireless Power Do For You?